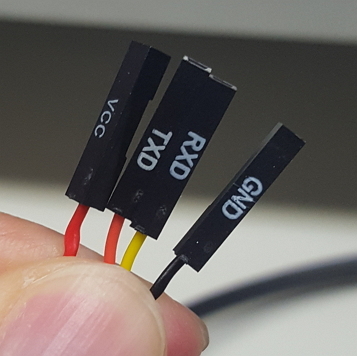 Is the following connector is valid for Arduino Pro Mini (no BLK and GRN)? I was told to make a certain Arduino application, and got some Arduino Pro Mini (ATmeag328 3.3V 8 MHz) with the connector above. But, according to the official document, I think that I should use some FTDI thing, which has 6 pins including BLK and GRN. I wonder whether I can use the existing 4-pin connector, or whether I must use 6-pin FTDI connector. If you look at the picture in your link, you would see that BLK is ground (GND) and GRN is DTR, that is used to reset the board and enter the bootloader for programming. As Majenko said, without DTR you will need to press the reset button at the right time, to enter the bootloader. Not the answer you're looking for? Browse other questions tagged arduino-pro-mini uploading ftdi or ask your own question.